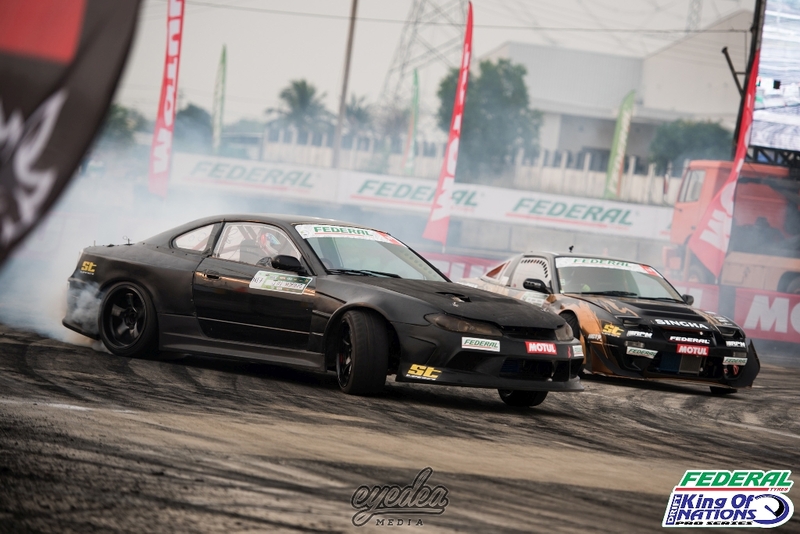 Round 2 of the 2018 Federal Tyres King of Nations and Round 1 of King of Asia series powered by ST suspensions kicked off on the outskirts of Bangkok in Thailand. 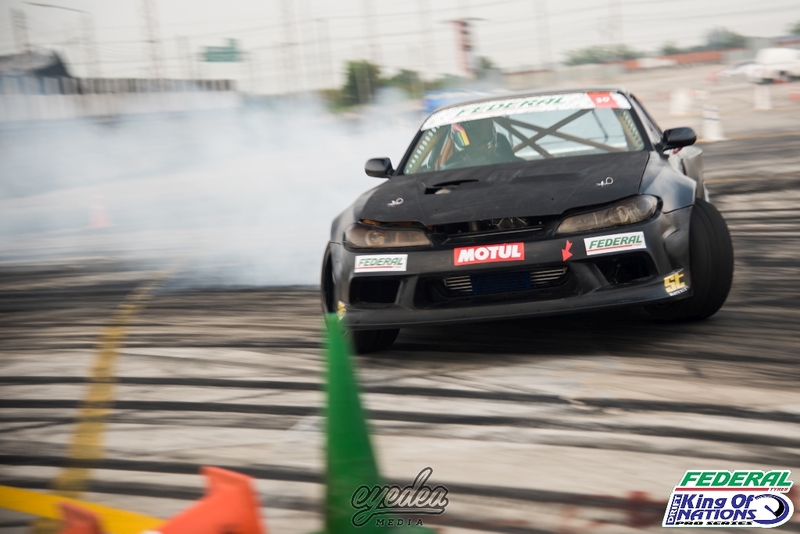 We headed straight to Pathum Thani for an exciting Drift Event. 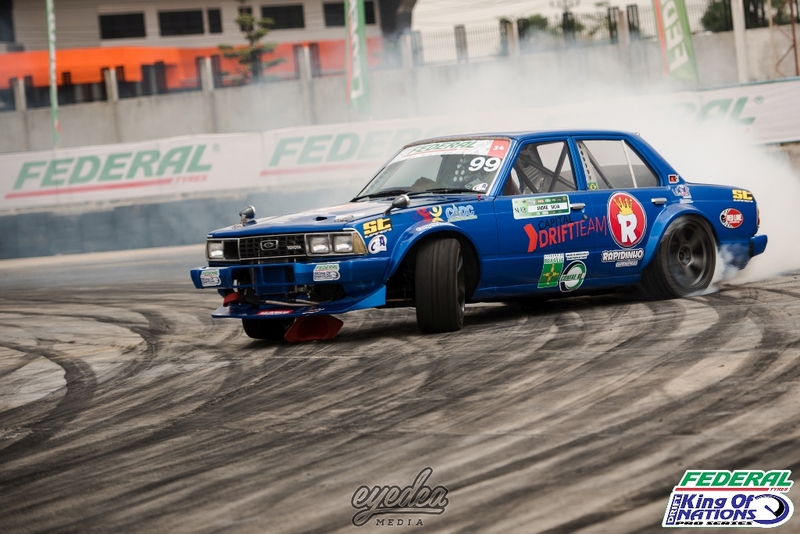 Having initially hosted the King of Nations/King of Asia series back in 2016, Pathum Thani made a welcome return to the calendar with a brand new, extremely challenging layout created by the judges. 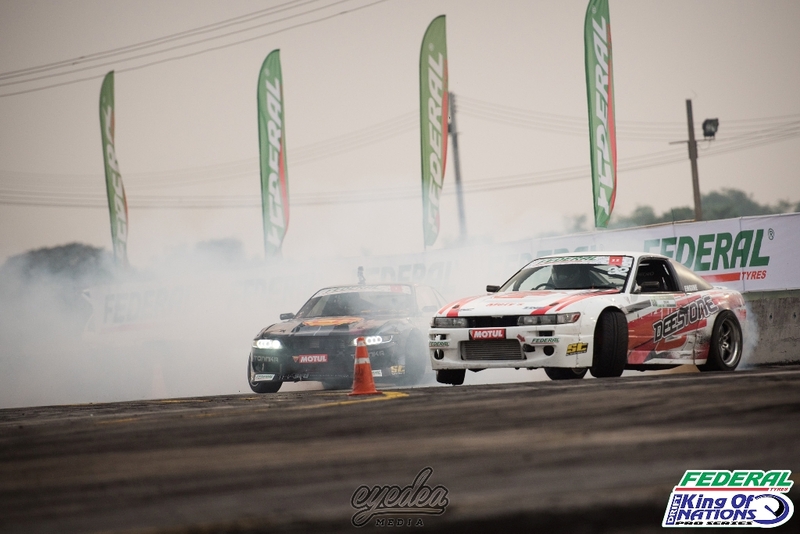 There is no doubt that Thailand is the home of some of the most impressive driftcars in the world today. 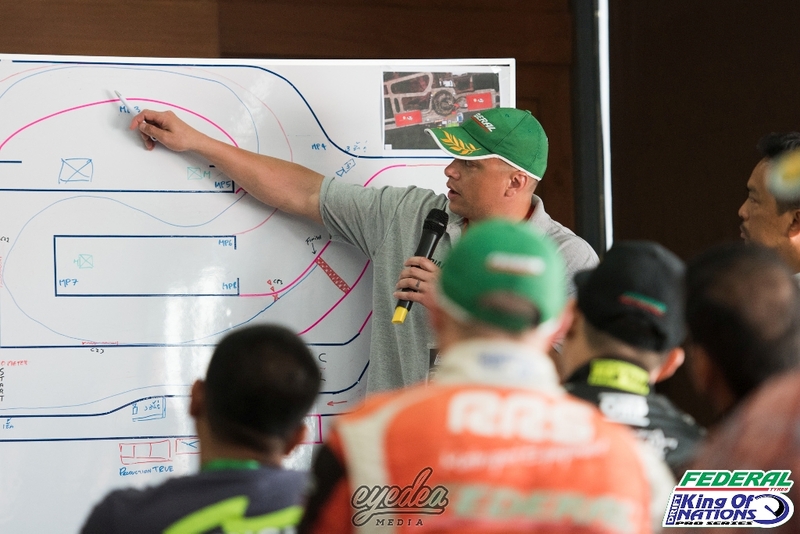 As head judge Vernon Zwaneveld explained what was expected from the drivers in the briefing, it was clear that combining high speed with numerous concrete clipping points would undoubtedly make for the most technically challenging layout of the season so far. 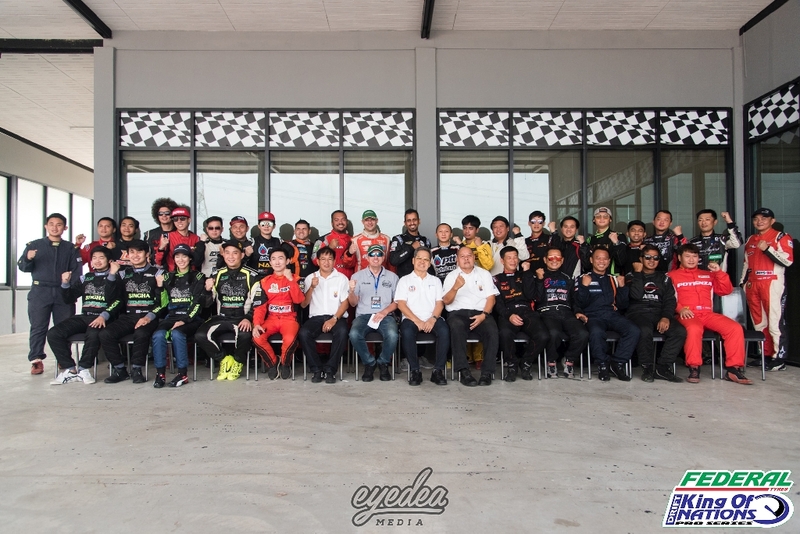 This made for a fantastic spectacle for both the drivers and the hundreds of thousands of fans who tuned into the event online alike. 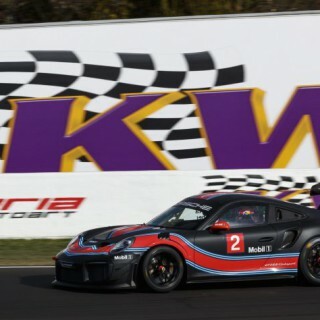 After a morning of practice, it gave drivers the opportunity to test the boundaries of the course and sometimes beyond. This layout certainly didn’t forgive, nor is it afraid to bite back! 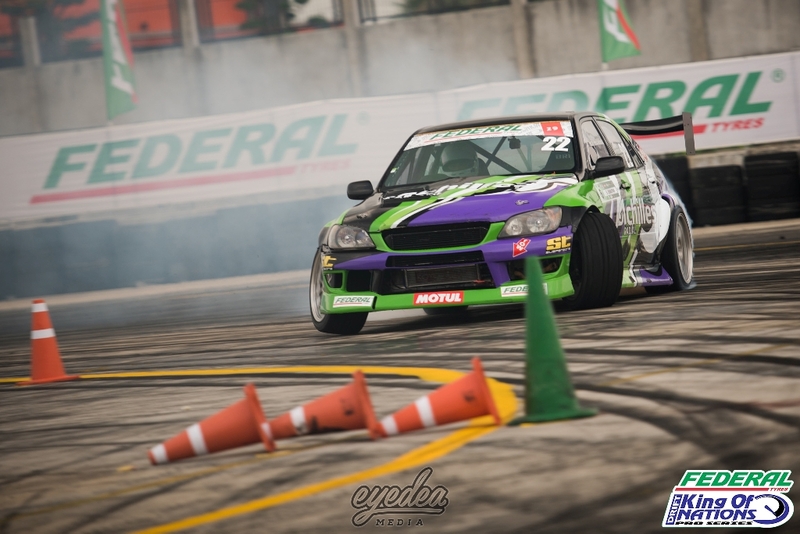 As qualification got underway under the intense sun, it would be the pilot who landed second place overall in our previous visit, Davide Dorigo, who made no mistake securing the top spot in the qualification rankings, undoubtedly keen to fight for a podium spot once again. 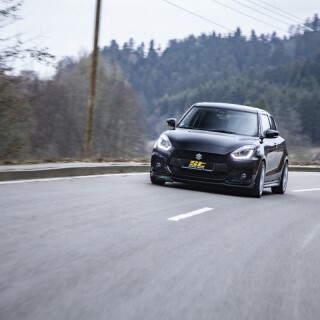 Japanese guest Jin Horino pushed his rental car to its limits as he showed off some awesome technique to land the second position. 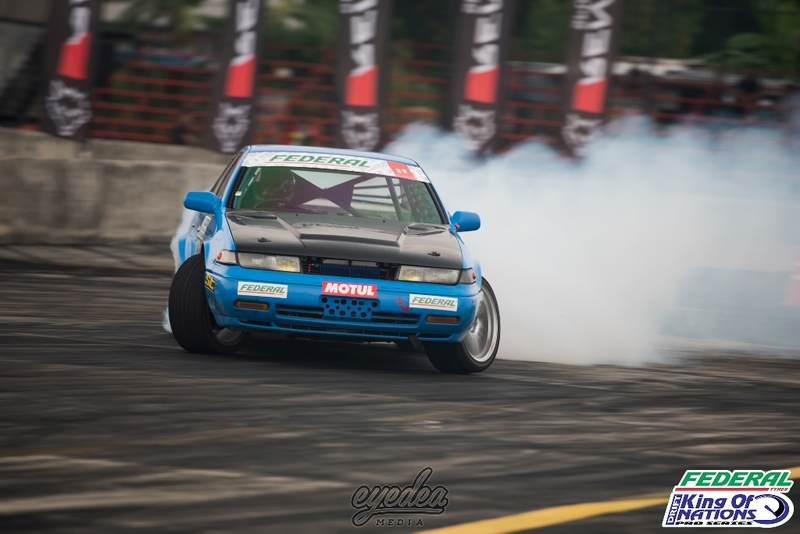 Wuttitat Pangumnerd followed closely behind in third place with his insane build and it would be previous winner here in Pathum Thani, S Chanatpon Kerdpiam that secured fourth, undoubtedly looking to once again climb the ladder during the battles. As game day quickly approached, it was time for the drivers to get door-to-door in practice before the big dance later on in the day. 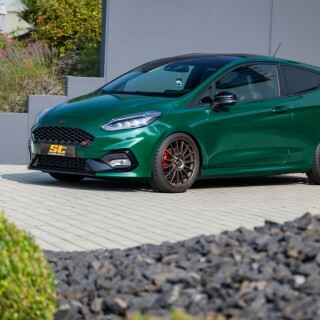 Unfortunately for previous winner S Chanatpon Kerdpiam, engine issues whilst pushing the car hard in practice would cut his weekend short despite his best efforts to get the car repaired in time. 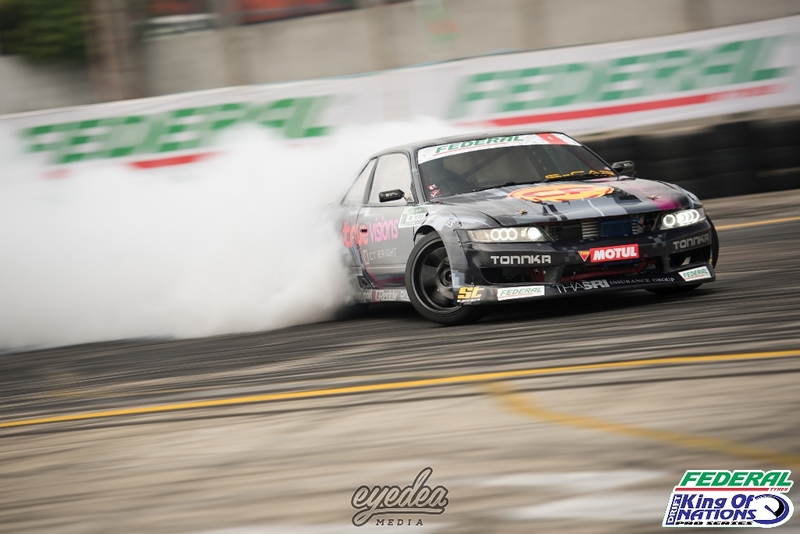 As the Top 32 battles got underway, it would also mark the end for Brazilian visitor Andre Silva’s weekend despite impressing throughout the day in practice. Meanwhile, France’s Nicolas Delorme, Kuwait’s Nasser Almutairi and Malaysia’s Zai ‘Bullzai’ Hamdan would ensure that they fought their way into the Top 16. 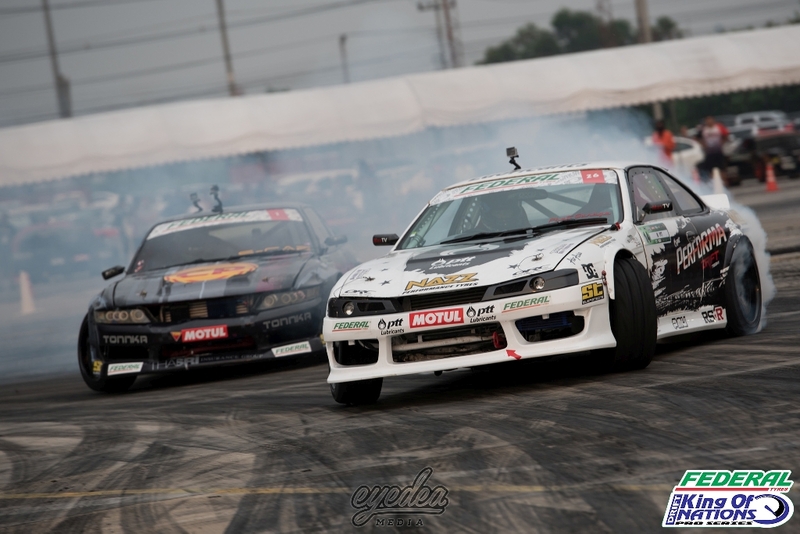 Delorme’s advance landed him up against qualification leader Davide Dorigo. With a great lead run from Dorigo, it would hand him a 6-4 advantage and despite his best efforts, Delorme managed a 5-5 draw in his lead but it wouldn’t be enough as Dorigo once again progressed to the Top 8. 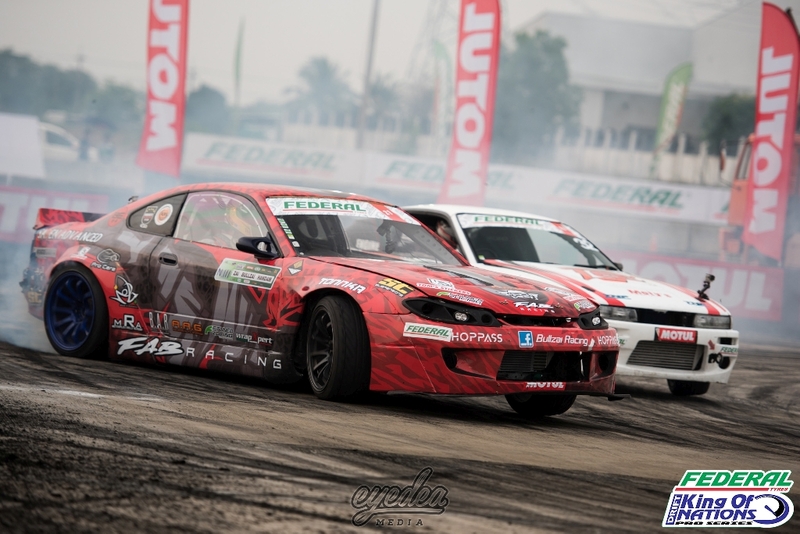 Fighting Delorme in the overall Championship standings, Nasser Almutairi would manage to squeeze past Pachara Chokkueakulchai to land vital points as he headed for the Top 8 battles. With an incredibly intense Top 8, the battles and scores would be closer than ever as the judges had their work cut out. Dorigo and Auttapon Prakopkong fought in a one-more-time decider before Dorigo eventually slid his way to the Top 4 once again. 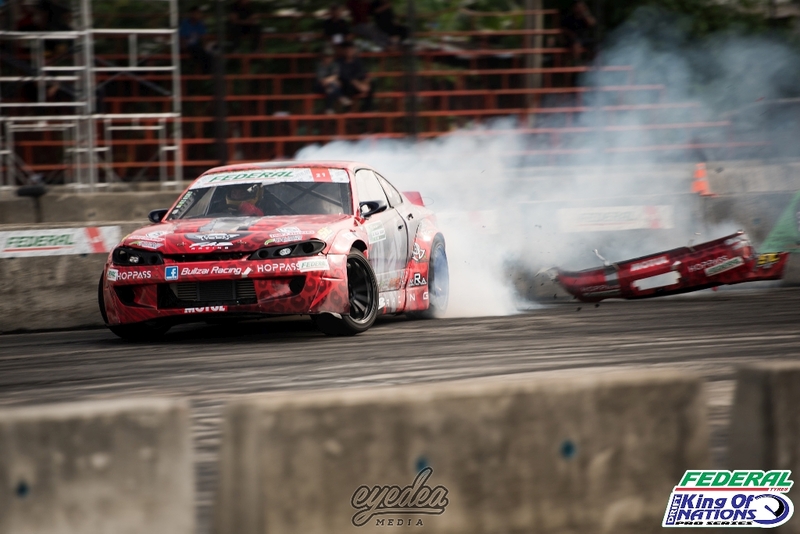 Meanwhile, the one-more-time between Jin Horino and Thanupat Lerttaweevit wouldn’t go in the Japanese drivers’ favour as his great performance came to an end. It would be the same case for Nasser Almutairi, who fought hard throughout the weekend but Wuttitat Pangumnerd proved too much. Zai ‘Bullzai’ Hamdan also put up a great fight against Chutchanun Siriwattanakul, but the 6-4 advantage in the lead run was all Chutchanun needed to advance. 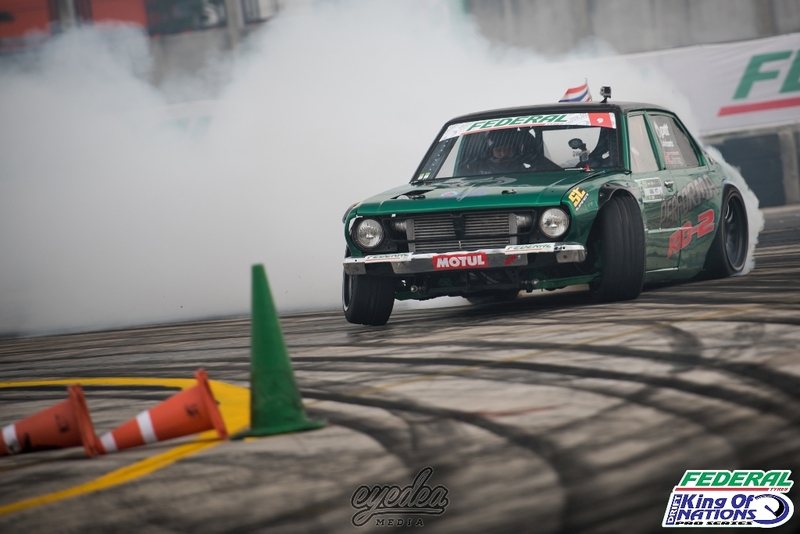 There was no doubt that the local drivers were going to fight as hard as possible against the international visitors, but an all-Thai Top 4 was extremely impressive to see. As Dorigo prepared to try and secure the perfect victory, Chutchanun Siriwattanakul was determined to end his run, and did so in style. Wuttitat Pangumnerd’s early 7-3 advantage was also all it took to land his spot in the final battle! As Dorigo and Lerttaweevit lined up on the start line in the small battle, Dorigo gave his all in the lead run, earning a 6-4 score in his favour, showing great consistency. 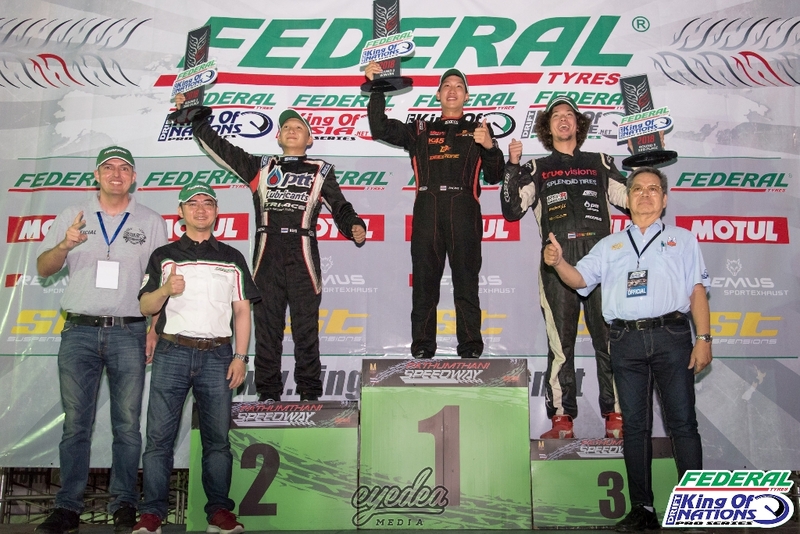 As Lerttaweevit tried his best to pull back the vital point, he couldn’t quite manage it as a 5-5 score was issued, handing Dorigo his second back-to-back podium here in Thailand! 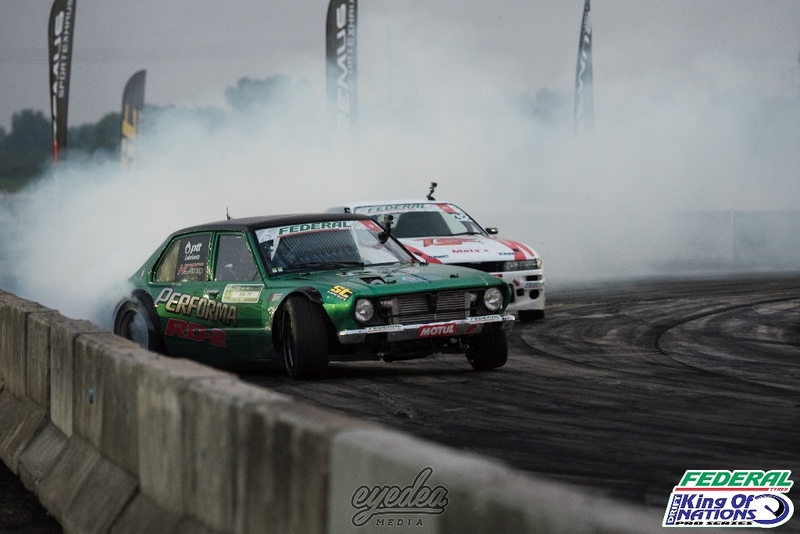 As two drivers who had stunned the fans and their oppositions throughout the weekend went into battle, it was all too close to call for the judges in the lead run with a 5-5 score issued, leaving the fans on the edges of their seats. 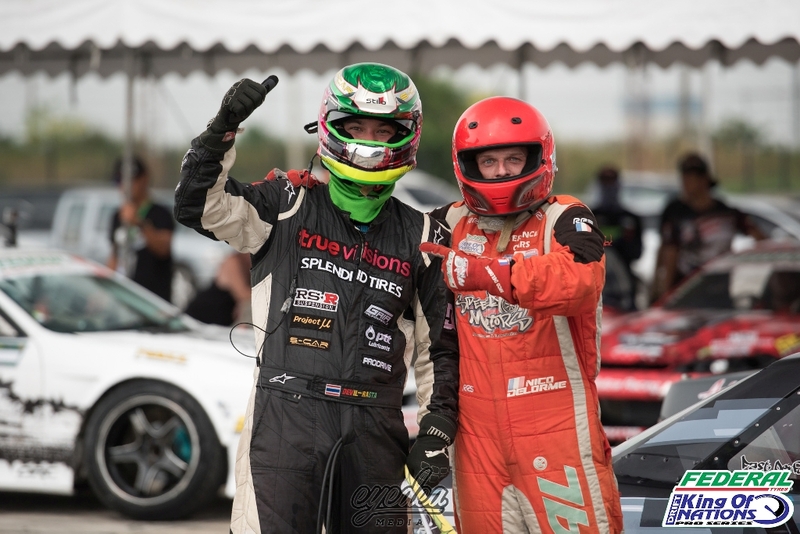 As they gave it their all, Siriwattanakul would enter overly aggressively on the first corner, desperate to stick on Wuttitat’s door, but unfortunately it was too much which caused a hit and left the judges with no option other than to issue a 10-0, handing the top spot to Chutchanun Siriwattanakul, who had managed to cause a fantastic upset throughout the event!